We left the leafy aire in St. 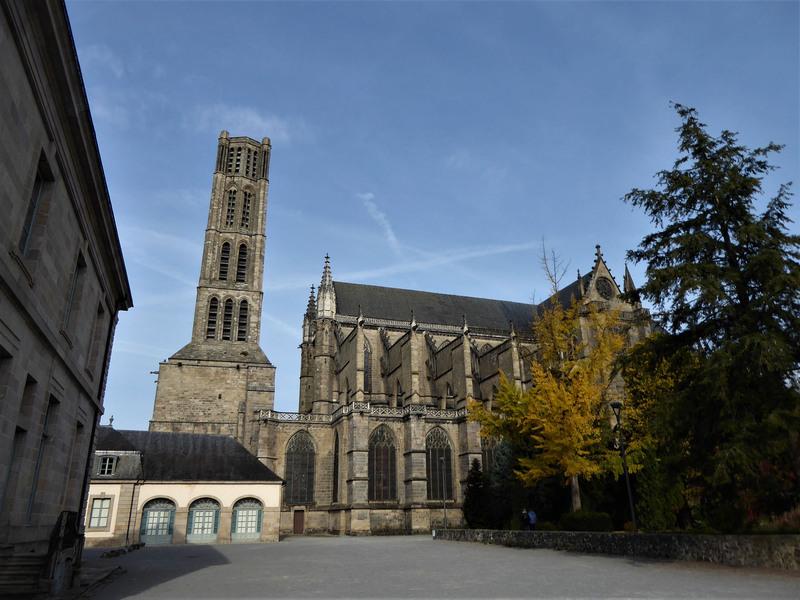 Priest Taurion to head for Limoges on roads that were empty on a bright November morning. There was a biting chill in the air early on, around 5 or 6 degs, but the day warmed up after a few cold hours to a scorching 22 degrees, feeling even hotter under the direct sun. 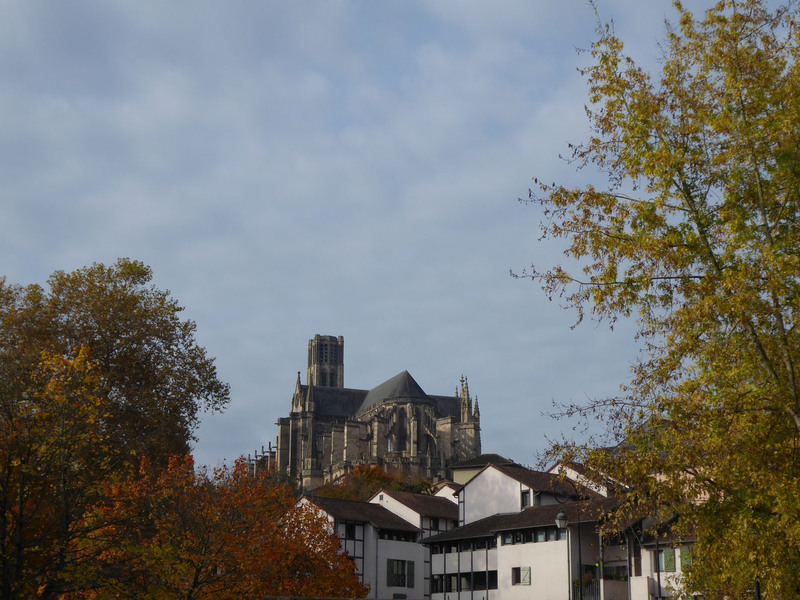 Limoges was a place we knew nothing of, and were again, as in Ghent, very happily surprised. We parked easily in a large free car-park on the riverside, only a few hundred metres from the historic centre. The river was beautifully lit in the morning sun, and was being actively used, with runners everywhere along the banks and rowers skimming silently across its calm surface. The city had a real energy about it, even on this, a lazy Saturday morning. The bright, crisp November day and the tree-lined river paths were both perfect for exercising, and it was great to see so many out enjoying the city as we sauntered by. 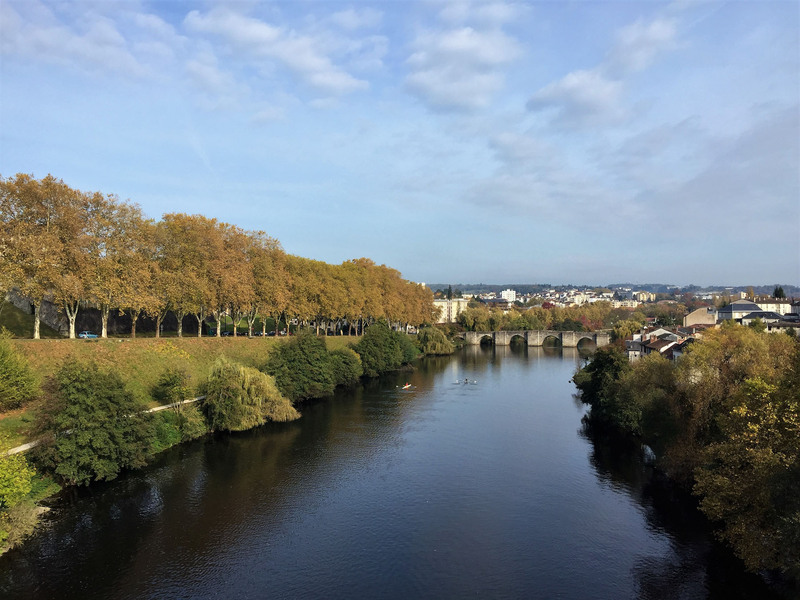 We walked along the northern riverbank of the Vienne and crossed at the historic Pont Saint-Étienne, dodging runners coming from all directions as we took in the view. The bridge was constructed in the thirteenth century to assist pilgrims reaching the town’s cathedral, an important place of pilgrimage on the extensive route leading all the way to Santiago de Compostela. 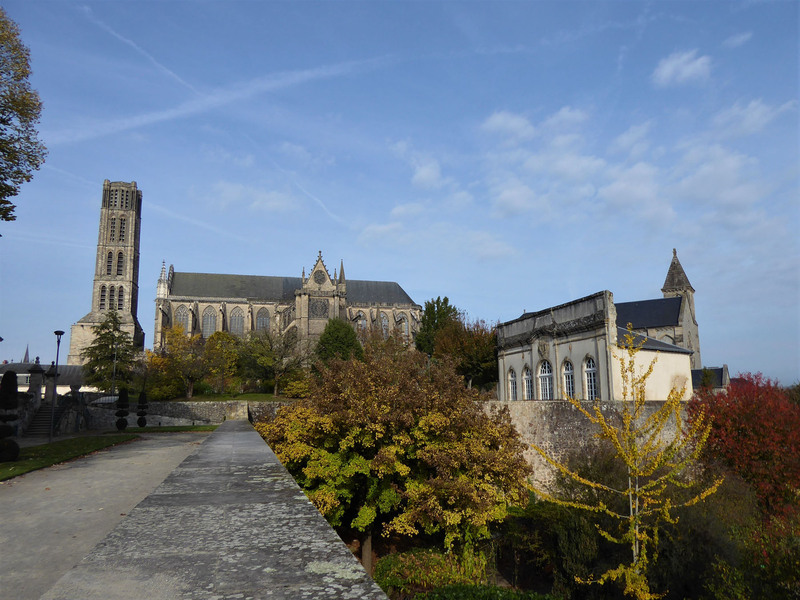 We slowly wandered along the leafy paths of the opposite bank, with views across to the high-sited historic centre and the Jardins d’Évêché that surround the cathedral. We crossed the Vienne again on the Pont Neuf, the new bridge, and climbed a set of long steps up through the high walls to the gardens. The historic quarter was almost empty of others, which was rather surprising considering the warm, clear day and the obvious beauty of the surrounding gardens, but we certainly weren’t complaining about having it all to ourselves. The Musée des Beaux Arts was the first building we approached, fronted by colourful flowerbeds with spiral trees and a circular fountain. The museum, a former episcopal palace, was closed when we visited, but houses a large collection of enamel sculptures and Egyptian artefacts. 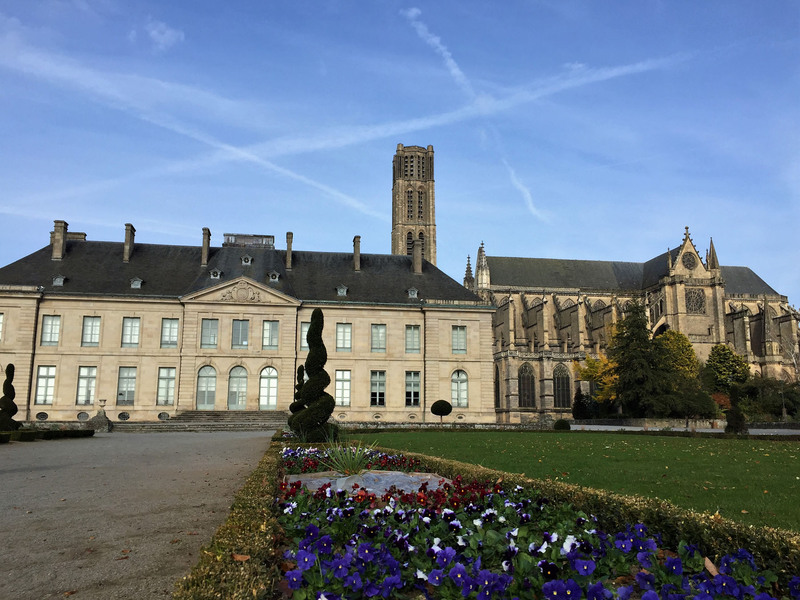 The backdrop of the Cathédrale Saint-Étienne was ever-present in our view, so we approached, passing the large-windowed Orangerie and the formal vegetable gardens. There were many exceptionally pretty trees close to the cathedral, each twisted and bent into sculptural poses. 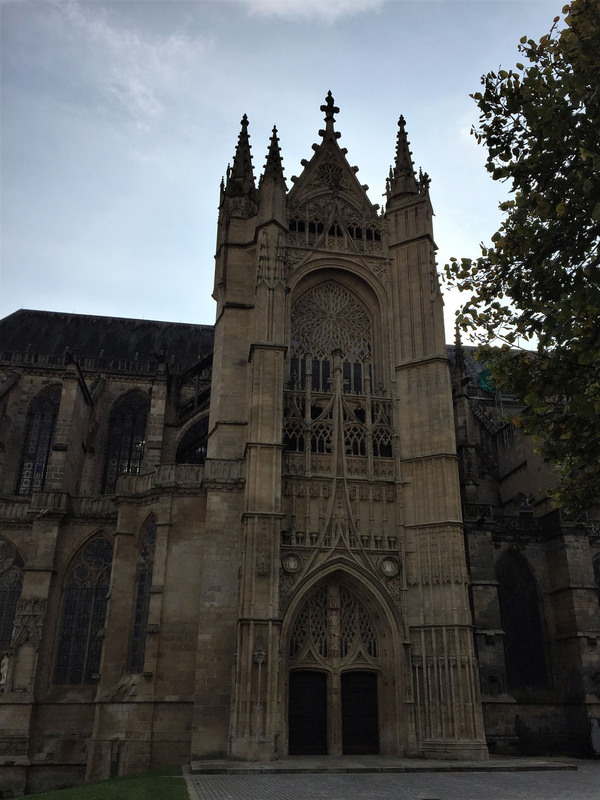 Began in 1273 CE, the cathedral has been consistently added to over the past six centuries, but has retained its balanced and unified Gothic style throughout. The interior was all white stone, unadorned, quite cold and stark. The historic cathedral quarter was quite compact, all together in one small corner of the city, so easy to visit. From there we walked into the more modernised centre, with boutique cafés and stores, along with the expected presence of established international brands. But beyond the partial standardisation, we walked along neat cobbled streets lined with neatly manicured medieval timber buildings, and through a vibrant city market in full voice. A nearby internal covered market selling fish and meats complimented the external farmers’ market with its cheeses, vegetables, cakes and breads. Small stone plazas had traditional cafés spilling out into them, many busy with customers enjoying rest after their shopping sprees. 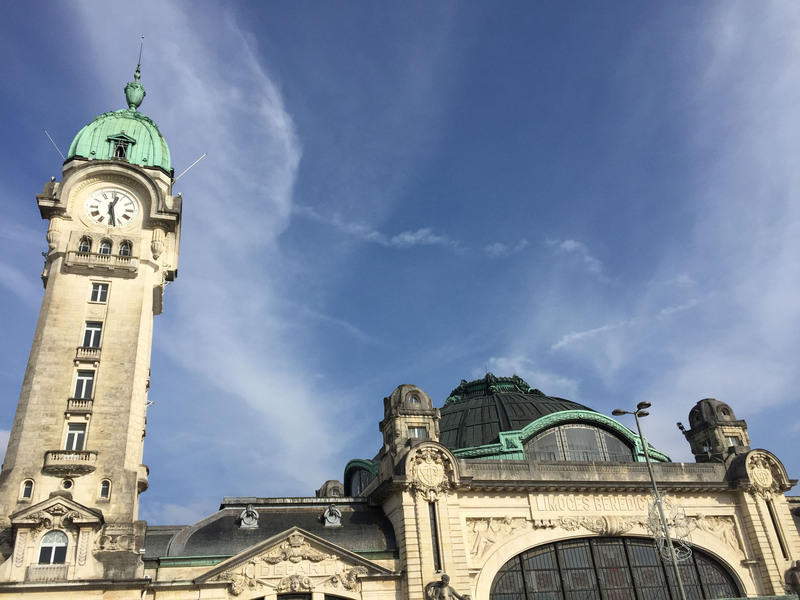 Limoges was pulling off tranquil, relaxing and lively all at once. 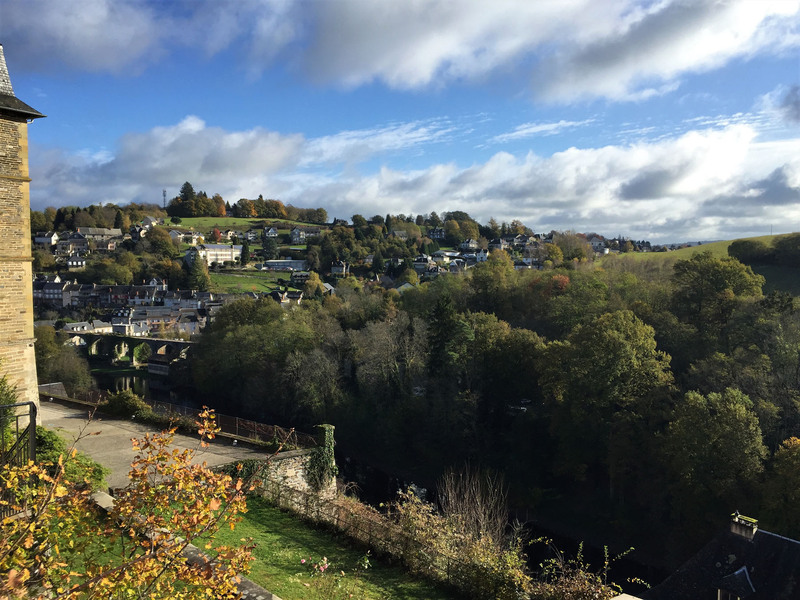 It was safe to say we fell for the easy beauty of Limoges. 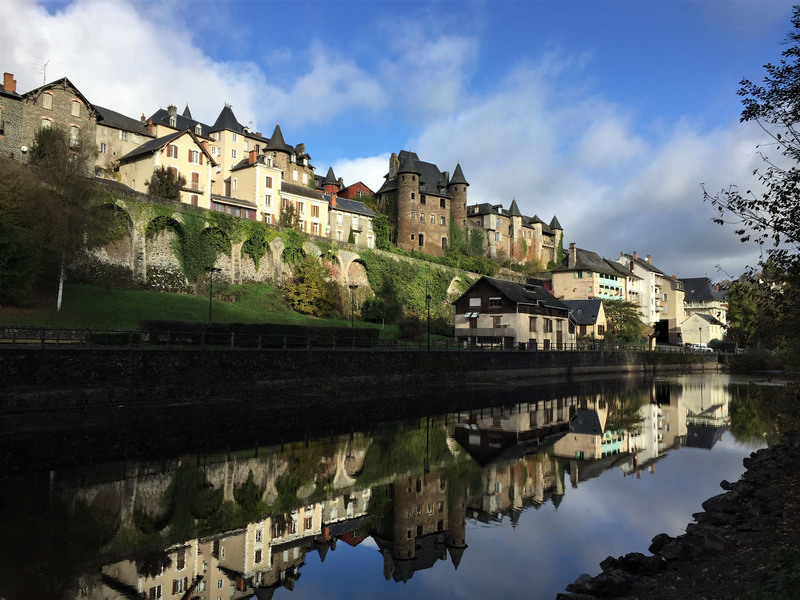 The stunning river setting with the number of people we saw living life outdoors, the medieval streets lined with cafés and eateries, the busy food markets and its plentiful gathering of other pretty stores all made Limoges seem like it could be the ideal base for us. 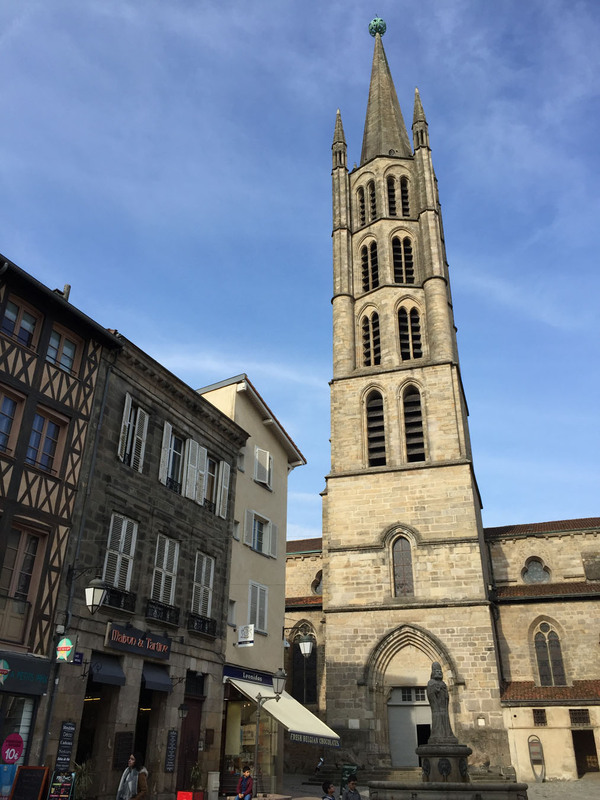 It has an international airport served by Belfast, Birmingham, East Midlands and Stansted, so after our visit Limoges gained our coveted seal of approval and jumped into contention for the possible positioning of our future French pied-a-terre. Early days, but anywhere within an hour of here could potentially become our new base. With that in mind, our next move was to explore the smaller villages in the nearby hills and see what other as yet unknown delights we could uncover. 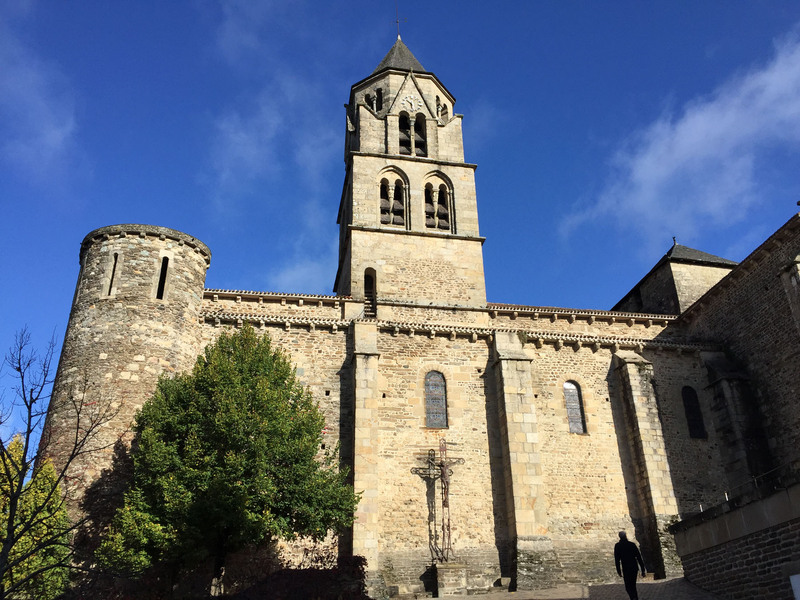 With one eye on the nearby countryside and a constant vigilant consideration for the region, we drove south to the nearby mountain town of Uzerche. 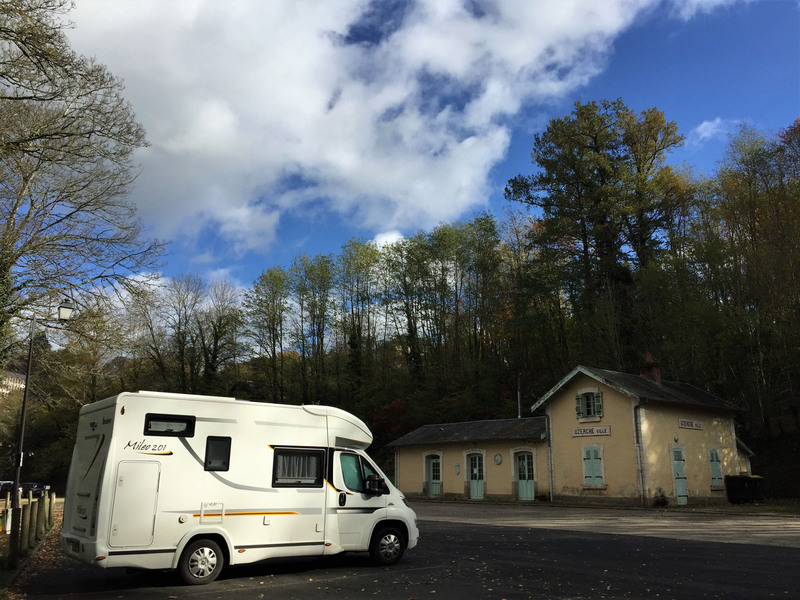 We first visited a SuperU, completing laundry whilst we shopped, before continuing to the town’s free aire at an old railway station on the banks of the passing river Vienne. 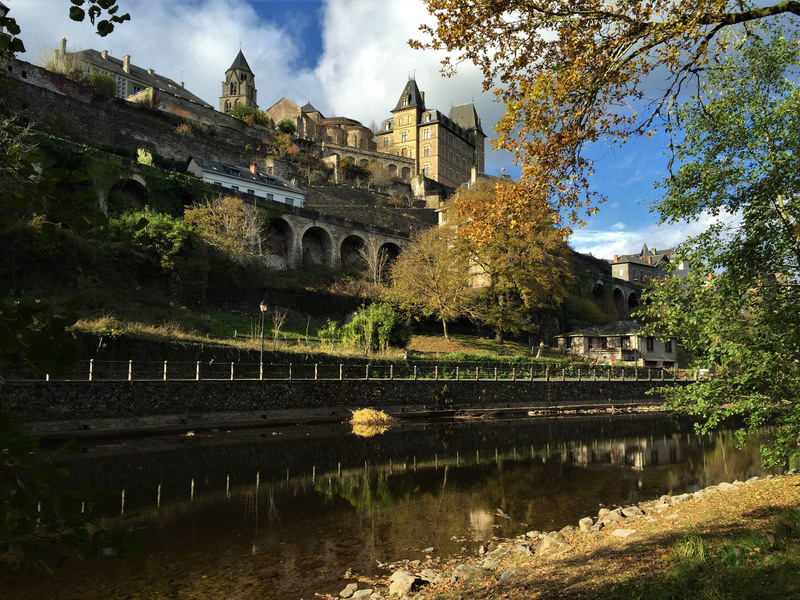 We decided to leave the exploration of the town until the following day, so we spent the night relaxing around the aire, enjoying the view of the old town across the river. Unfortunately we had chosen poorly when parking, positioning Benny underneath an overhanging tree. When the rains begin during the night, we were bombarded with large drips and falling fragments of tree, pattering and bouncing loudly on our roof, so our night’s sleep was not all we’d hoped for. But the morning brought a bright, clear and still day, so with a spring in our step we set off along the river bank. The path was deep with fallen leaves and we childishly kicked our way along. 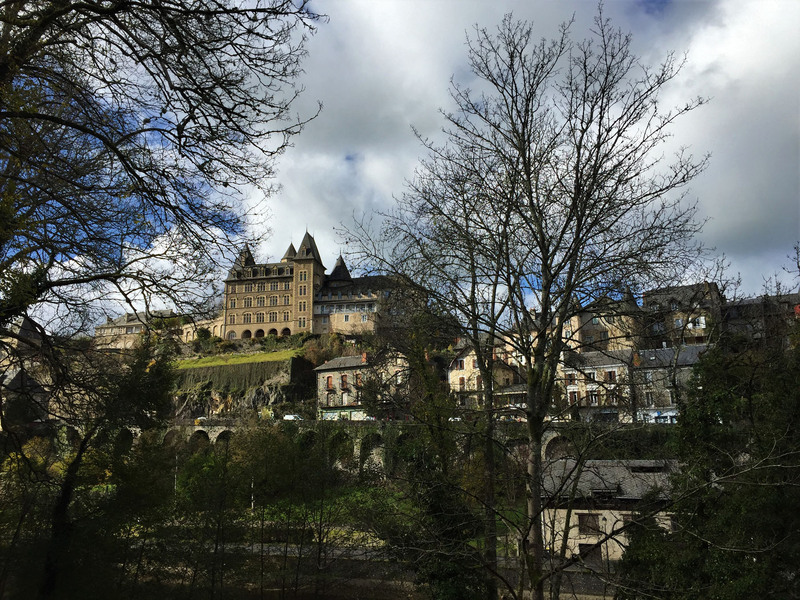 We crossed a pedestrian bridge, hoping to find a way up into town, but turned out we had to walk all the way back on the opposite bank as all the stone steps we could see from the aire were within private gardens. We followed the road up through the winding streets to reach the top of the town, where the tall church dominated the small central square. There was a plaza to the front with far-reaching views out over the river and the rest of the town. We spent a moment enjoying the vista and the sun on our faces, delighting in such great weather. We returned to the aire, by way of a boulangerie, to eat lunch. 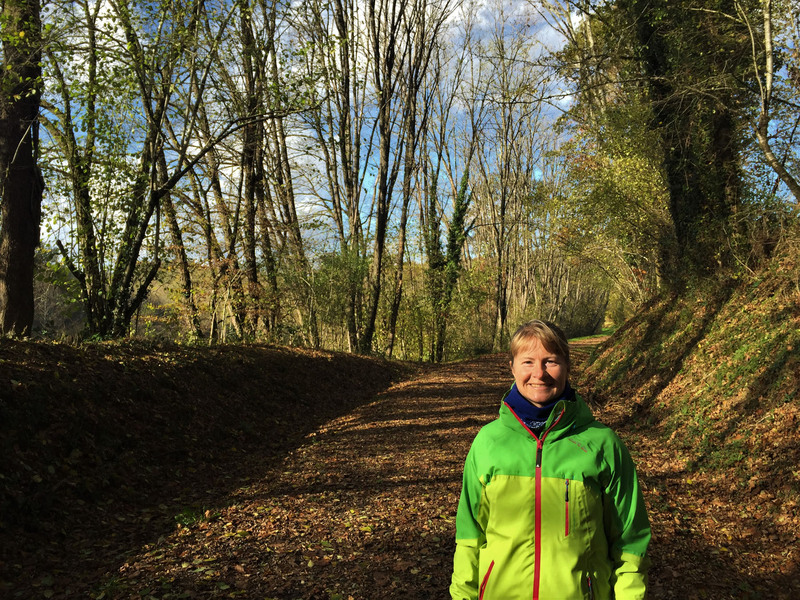 After eating, we had hoped to complete a signed 5km walking route named for Simone de Beauvoir, but only 1km into the walk we found a bridge was closed for remedial works, so we could not progress. With no clear option, we returned the same direction, only this time on a lower path, set between the trees right on the river’s edge. We passed a kayaking centre with a white-water course marked out with hanging poles, the opposite bank covered with sit-on kayaks, stacked high. We decided to stay a second night in the aire, moving over a few places to ensure we didn’t have to endure another night of noisy drips. We enjoyed a lazy afternoon, with a visit from a local farmer in a small van selling his freshly grown wares our only distraction. We had shopped recently so bought only a few pears as a token gesture for his efforts, feeling a little sorry for him as we were the only motorhome customers left in the aire today. This entry was posted in 2017 Winter Travels, France, In France, Our Travel Journal and tagged architecture, autumn, Beaux Villages, beer, church, culture, history, househunting, Kayaking, limoges, markets, nature, old town, photography, river, rowing, sightseeing, train station, uzerche on Nov 12, 2017 by Aaron Hill. 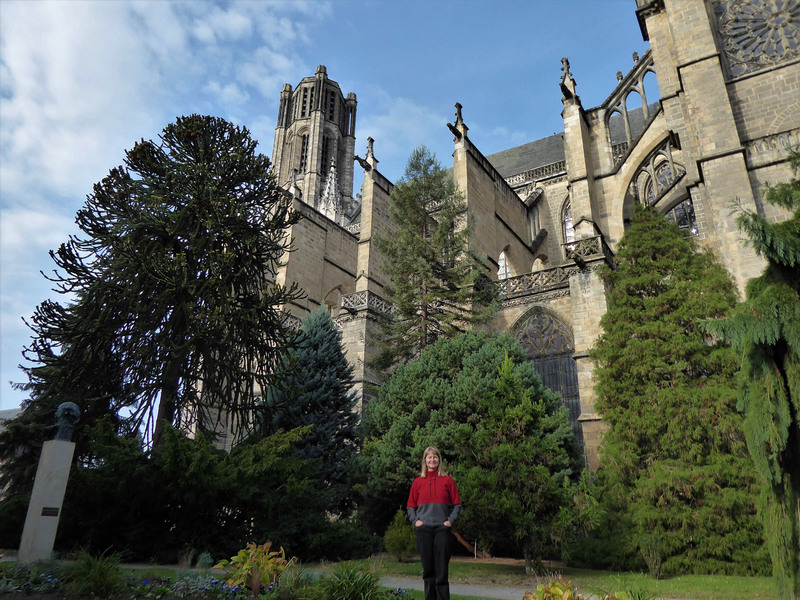 Limoges does look as if it has lots to offer. Glad you love Limoges! We were once told it’s the healthiest place to live, in France!